Nate – I wasn’t a fan of part one, but this trailer gets me pumped for the hunger games again. It looks action packed and full of story. I never read the books so I don’t know if it stays true to the books, but I sure hope it does. 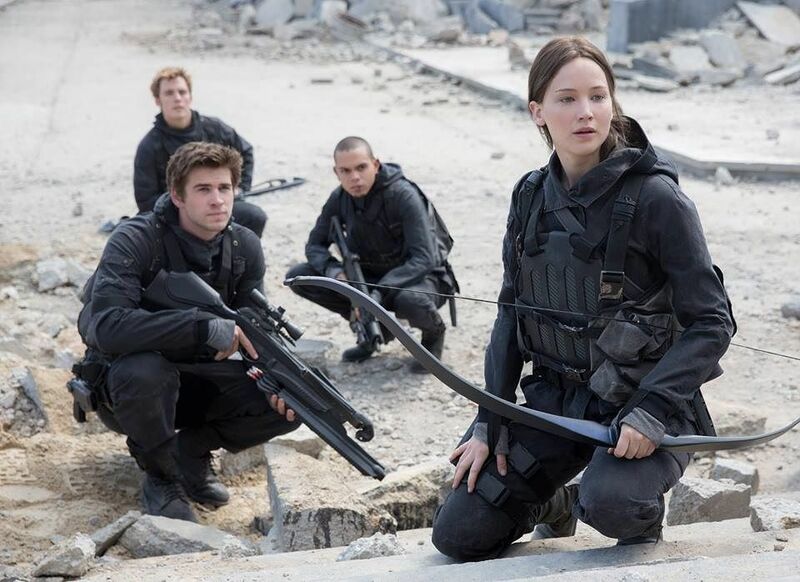 But overall, I am looking forward to Mockingjay Part 2. Tim – Like Nate, Mockingjay Part 1 wasn’t my favorite. To be fair, Mockingjay was also my least favorite of the three books. But I’m sure I’ll see this, and I’m assuming that the fact that there’s a resolution to this part of the story will make it better than Part 1. The action looks good and President Snow is always creepy. But this on my, “Sure, I suppose I’ll see it” list. Trevor – Hmmm. This particular trailer seems to be lacking some oomph. It’s kind of like they threw it together because they knew they needed to but didn’t put their hearts in it. This movie is supposed to be great! I want great guys! Nate – This looks like Dr. Mann’s origin story (jokes). But in all seriousness, this looks awesome. I love space and astronauts, the whole deal, so this gave me the butterflies of pure excitement! The story seems very captivating, and mysterious. Granted I haven’t read the book. But hey, I think this will be very entertaining! Tim – I only read “The Martian” a month or two ago, but it blew me away. It’s easily one of the best books I’ve read in the last few years. I really hate science. Always have, always will. But the author made the science of this man’s survival on Mars captivating. The process just to eat or breathe or go outside was incredible. And the main character’s ‘voice’ is so funny, smart, relateable, and engaging. I wish the trailer showed a little more of what the character is like as he’s struggling to survive (we only saw a brief glimpse when I said, “I’m gonna have to science the s%&$ out of this.”) I’m really pumped for this movie and I think that Matt Damon was perfectly cast. He’s really similar to the man I saw in my head as I read the book. Can’t wait. Trevor – Wow, this one wasn’t on my radar and I’m already excited. It’s got all the things you want, a stellar cast, funny lines, heart and something to invest in emotionally. Also, it’s a different scenario than we’ve seen before. This could be really awesome, so I’m there. Looks pretty sweet. Nate – This looks crraaazzzzaaaayyyyy! I love man vs. nature stories, and the fact that this is based on a true story makes it that much cooler. There’s really not much else to say except I am definitely going to see this one! With a lot of popcorn! Tim – There are usually a couple “disaster” movies each year. I saw San Andreas, and while it looked amazing and The Rock is always awesome, the story was weak and the dialogue was cheesy. But that’s really a disaster action movie. This looks to be more of a disaster survival movie, especially since it’s based on a true story. (See me inventing subgenres?) I think that this movie looks cool and inspirational. I’ll certainly see it. Trevor – This show looks great, if you want to cry your eyes out. That being said, heart-wrenching and very interesting. It’s cool because Everest is likely something I’ll never experience, so to see what it’s like up there seems awesome. I’ve always been curious and am interested to follow their path. Especially with the heroics and bravery that we’re going to see, this show will be awesome.